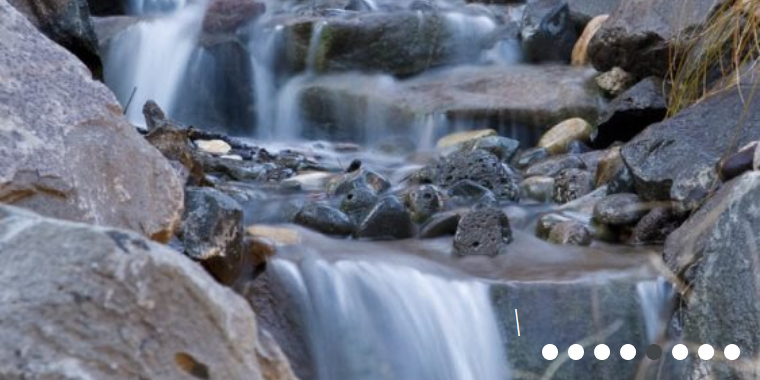 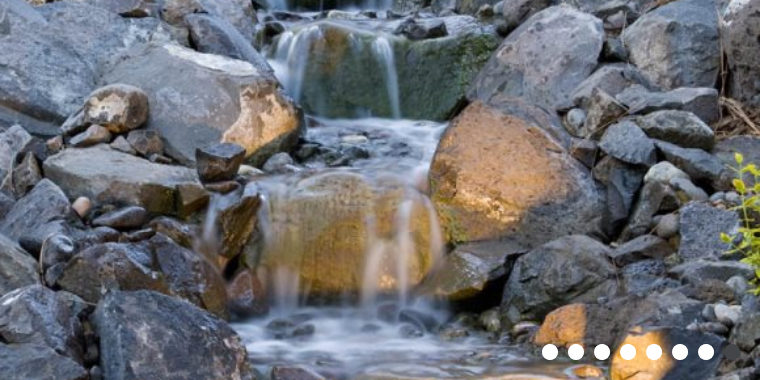 This natural rock waterfall cascades down river rock into beautiful streams of trickling water. 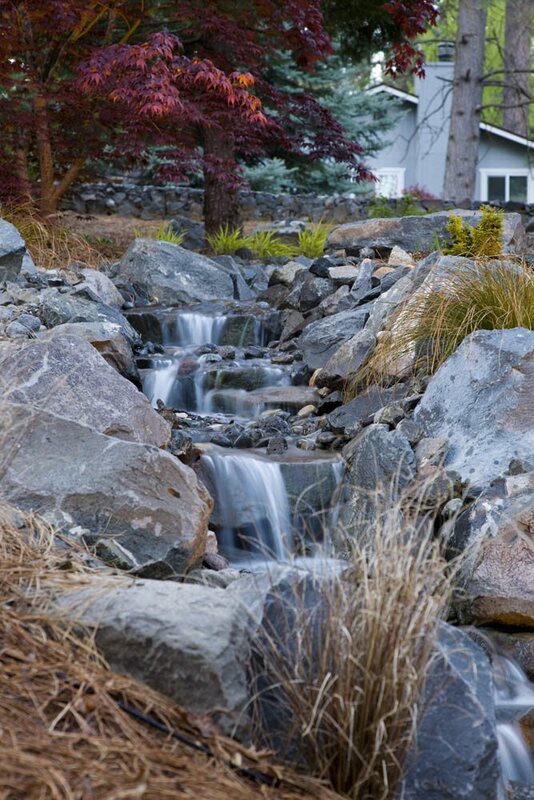 The landscaping is surrounded by natural stone in a random regular pattern to preserve the natural look of the landscape. 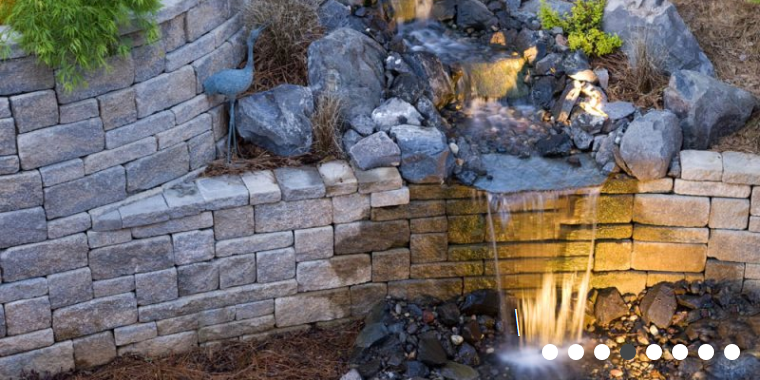 Waterfall landscape plantings soften the stone and add color and texture to the surroundings of the waterfall. 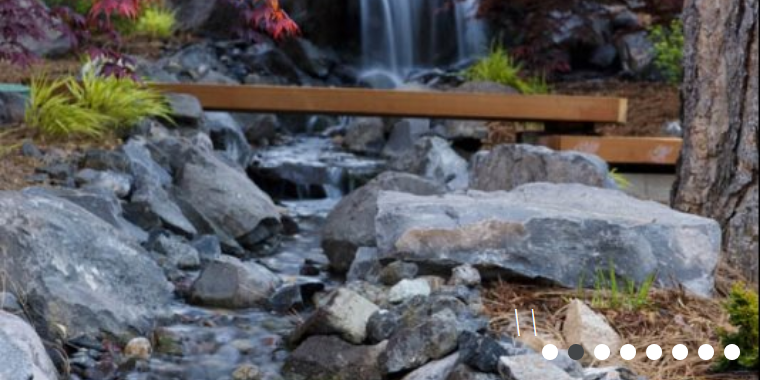 This is an easy upkeep, drought-tolerant design that seamlessly blends nature and luxury to bring you perfection in paradise. 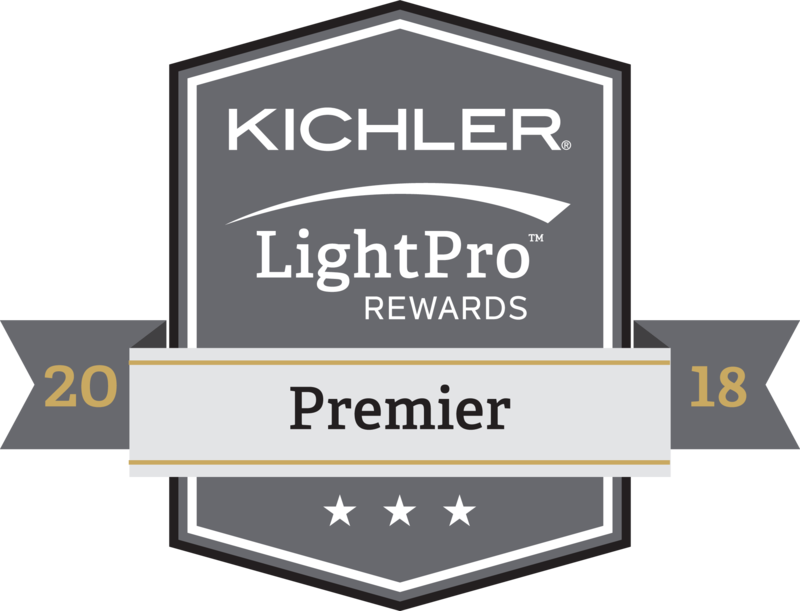 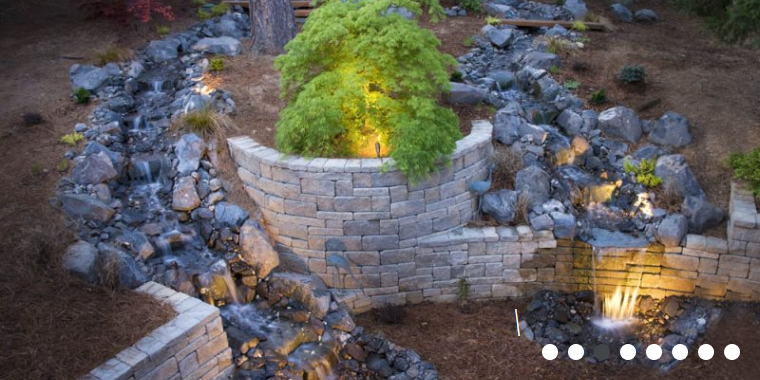 Submerged lighting creates a warm glow and helps draw attention to water features.